Sean Szymkowski February 15, 2018 Comment Now! BMW may have another 8-Series brewing, but that never stops enthusiasts from swooning over the original, especially in V-12 form. Now enthusiasts have their chance to own a rather special one. 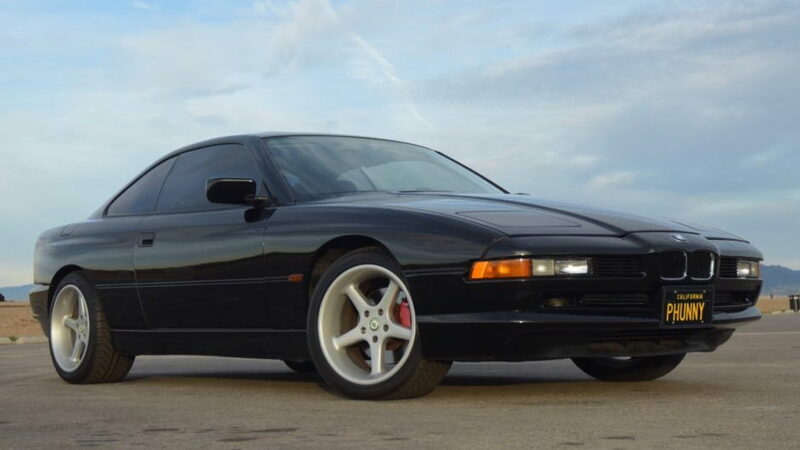 Listed on the always interesting Bring A Trailer is the great comedian George Carlin's personal 1996 BMW 850Ci. Carlin personally drove the car until his death in 2008 and his daughter has since taken care of the car. And it's mechanically all original with only 79,000 miles on the odometer. As anyone who's seen some of Carlin's shows, you'll know the funny man liked to roll in black, clothes that is. So it's no surprise a Schwartz exterior hue covers a Black Nappa interior with wood trim, and all body panels are believed to be original. Some imperfections are present, and the seller notes that the hood, roof, passenger door, and bumpers were all refinished in the original Schwarz color, Schwarz being the German word for "black." 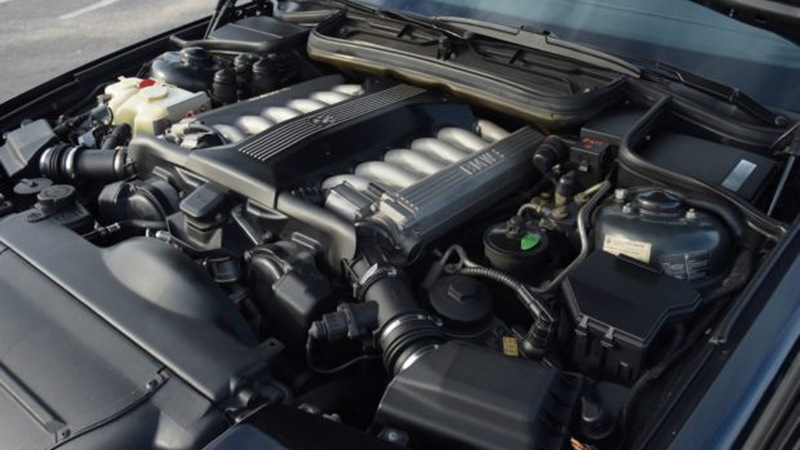 On the mechanical side of things, the 850Ci boasts a smooth-as-silk 5.4-liter V-12 engine with 322 horsepower and 360 pound-feet of torque. It's just one of 363 delivered to North America with the powertrain combo. Here, a 5-speed automatic pairs to the V-12 engine. Service in 2017 showed no mechanical failures, but the headliner was replaced after it began to sag. There are some issues, though. The cruise control function does not work and an airbag dash light is present due to a faulty seat belt connection. The neatest touch? 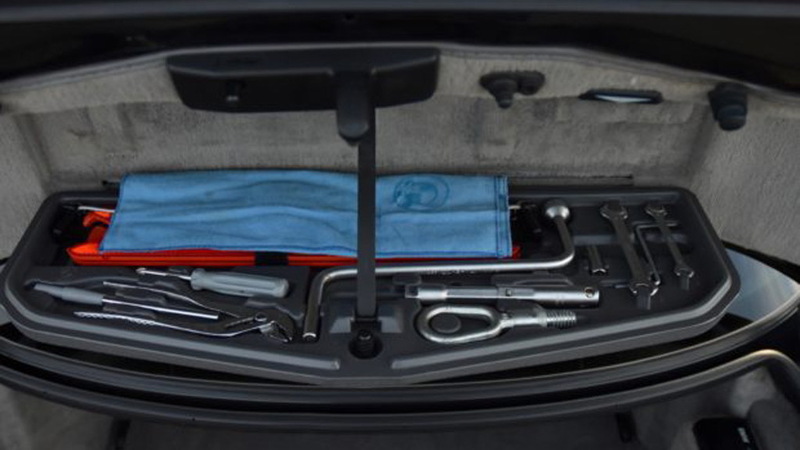 The original BMW tool kit remains in the trunk complete with a blue BMW cloth. Right now, the going bid is $17,000, but a few days still remain for the auction. The price will likely climb. After all, this 8er would be ideal for cruising around complaining about all the idiots driving slower than you or the manicas going faster.